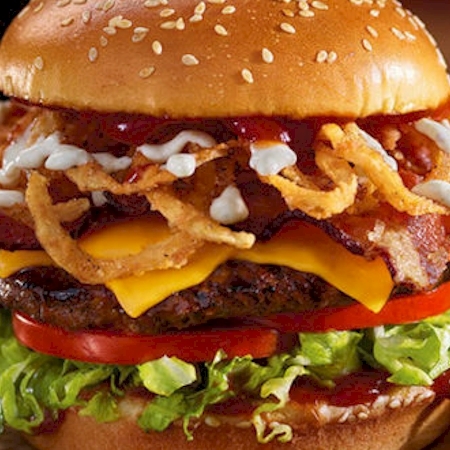 Red Robin offers a vast menu of gourmet burgers along with other family-friendly appetizers, entrees and desserts. Bacon, sunnyside up fried egg, melted American cheese, tomatoes, lettuce and mayo. Hardwood-smoked bacon, melted Pepper-Jack, A.1.® Peppercorn Spread, tomatoes and crispy onion straws on an onion bun, making this burger worthy of five stars. The shorter version of our famous tower. Sinfully rich and soft fudge brownies, dipped in dark chocolate and bejeweled with French sea salt and sugar crystals. Served with whipped cream and a side of berry "ketchup'' for dipping, they're perfect for sharing. Choose from any of our many classic sauces and dressings. 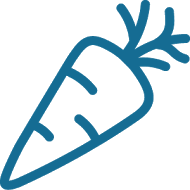 Pick 2 from Fresh-Fried Zucchini Sticks, Jalapeño Coins, Cheese Sticks, or Sweet Potato Fries. Our meaty blend of beans, spices and hearty peppers. Topped with Cheddar, onions and tortilla strips. 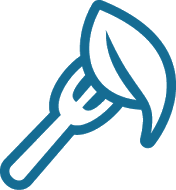 Our beef standards are among the highest in the industry and our Gourmet Burgers are made with fresh, never frozen, all-natural, domestic, USDA-inspected beef. It’s one of the reasons our burgers are the best in the business. All Gourmet Burgers served with your choice of side. A ground pork patty glazed in teriyaki sauce with pickled carrots and red onions, crispy onion straws, roasted garlic aioli and shredded romaine. Glazed in teriyaki and topped with grilled pineapple, Cheddar, lettuce, tomatoes and mayo. Topped with fried jalapeño coins, salsa, Pepper-Jack, lettuce, tomatoes and chipotle aioli on a jalapeño-cornmeal kaiser roll. Guac, bacon, Swiss, tomatoes, lettuce, onion and mayo. Served open-face with a generous helping of Red’s Chili Chili™, Cheddar cheese, chipotle aioli and diced red onions. A fire-grilled burger layered with horseradish-sautéed mushrooms, gourmet steak sauce, Provolone, Country Dijon and crispy onion straws on an onion bun. A highly prized burger. Topped with tangy steak sauce, chipotle aioli, Bleu cheese, tomatoes, lettuce and crispy onion straws. Served on an onion bun. For those times when less is more. Lettuce, tomatoes, pickles and onions on the side. Our vegan veggie patty comes with fresh tomato bruschetta salsa, avocado slices and shredded romaine wrapped in a lettuce bun. Over 40 years of burger expertise has led to this: Red Robin’s Finest juicy, 1/2-pound Black Angus beef, flame-grilled to perfection and stacked with premium sauces and toppings like roasted garlic aioli, black-pepper bacon and oven-roasted tomatoes. Our chef-inspired burgers are expertly crafted to deliver an exceptional flavor combination and the Finest burger experience. All Gourmet Burgers served with your choice of side. Mind your manners around this Black Angus patty glazed with brown sugar and topped with candied bacon, honey BBQ sauce, sharp Cheddar and caramelized onions on a toasted ciabatta bun. Our pub-style Tavern Double burgers are made with two of our classic patties and feature American cheese, Red’s Secret Tavern Sauce, tomato and lettuce. Feeling extra hungry? 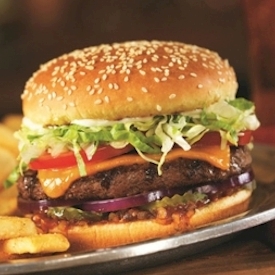 Make it a Big Tavern with our larger signature burger! All Tavern burgers cooked medium well only. Served with your choice of side. All Tavern Burgers served with fries or your choice of a substitution side item. A larger Haystack Tavern Double. A larger Cowboy Ranch Tavern Double. 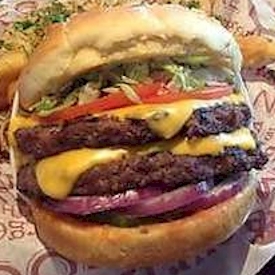 A larger Red's Tavern Double Burger. Ghost pepper sauce, Pepper-Jack cheese, and fried & fresh jalapeños. Our all-natural chicken breasts are cage- and hormone-free and raised with care from 100% family-owned farms. All burgers served with your choice of side. Topped with pickles, tomatoes, lettuce, onion and mayo. 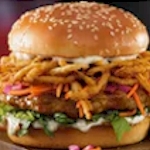 Grilled chicken breast basted with our bourbon-infused Whiskey River® BBQ sauce and topped with melted Cheddar, crispy onion straws, lettuce, tomatoes and mayo. Perfectly grilled chicken breast, teriyaki, grilled pineapple, melted Swiss, lettuce, tomatoes and mayo. Guacamole, bacon, Provolone, lettuce, tomatoes, pickles and mayo. Perfectly grilled chicken breast topped with fresh bruschetta salsa, pesto aioli, Provolone, romaine lettuce and balsamic cream on rustic ciabatta. Delicious combination of turkey breast, hardwood-smoked bacon, mayo and, of course, lettuce, tomato and avocado. Choose from a Whiskey River BBQ Chicken Wrap or BLTA Croissant Sandwich, combined with a cup of any of our savory soups. Take a culinary trip through the Italian countryside with a perfectly grilled chicken breast topped with fresh bruschetta salsa, pesto aioli, Provolone, romaine lettuce and balsamic cream on rustic ciabatta. Fried chicken tenders and crispy shrimp docked alongside your choice of side. . Premium hand-battered cod fillets, fried to crispy perfection, with our Steak Fries. Served with dill’d and pickle’d tartar sauce. Choose one or two fire-grilled chicken breasts basted with authentic Mexican seasonings, topped with fresh salsa and creamy salsa-ranch. Served with your choice of side. Tender sliced prime rib with caramelized onions, horseradish sauce, Provolone and au jus. Served with your choice of side. Premium hand-battered cod fillets and golden shrimp served with your choice of side, plus cocktail sauce and dill’d and pickle’d tartar sauce for dunking. A perfectly pan-seared 6-oz. salmon fillet served with your choice of side. You'll melt over this ½-lb pot of gold. Pasta coated in a deliciously creamy five-cheese sauce and topped with perfectly toasted crouton crumbs, Parmesan cheese and fresh parsley. Served with a choice of side. Crispy golden shrimp and coleslaw served with your choice of side and cocktail sauce. Choose from any of our premium sauces. For our friends aged 11 and younger. 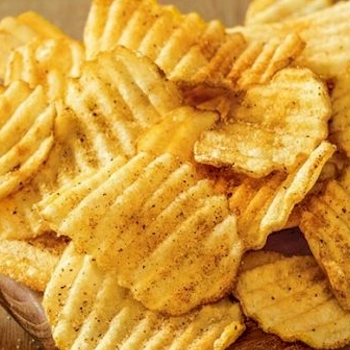 All meals include your choice of apple slices, mandarin oranges, Freckled Fruit Salad, steamed broccoli, corn, Steak Fries, or for an additional charge Sweet Potato Fries or Onion Rings. Served with American cheese and lettuce, tomatoes and pickles on the side. Choose a classic size or monster size in chocolate, vanilla, strawberry, banana, raspberry or peach. 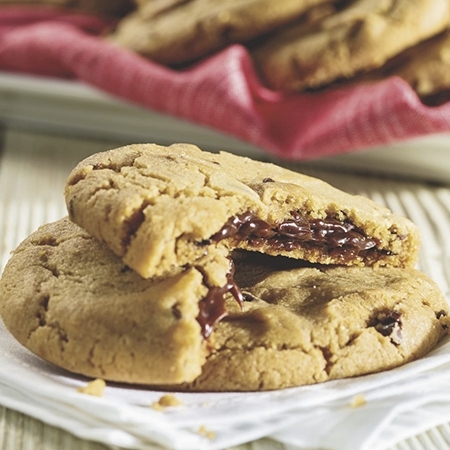 A spellbinding combination of chocolate and cookies in classic size or monster size. A salty, sweet and sinful blend of caramel and red Hawaiian sea salt in classic size or monster size. 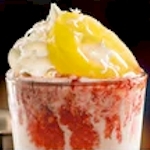 A creamy blend of strawberries, bananas, grenadine, coconut cream and pineapple juice. Choose From Coca-Cola, Diet Coke, Dr Pepper, Minute Maid Lemonade, Minute Maid Light Lemonade, Sprite or Barq's Root Beer. Raspberry and lime fruit flavors, Sprite and a fresh lime wedge. Choose from Iced Tea, Sweet Tea, Peach Tea or Raspberry Tea. Delicious blend of Sprite and candied orange with whipped cream. Delicious blend of Sprite and wild raspberry with whipped cream.